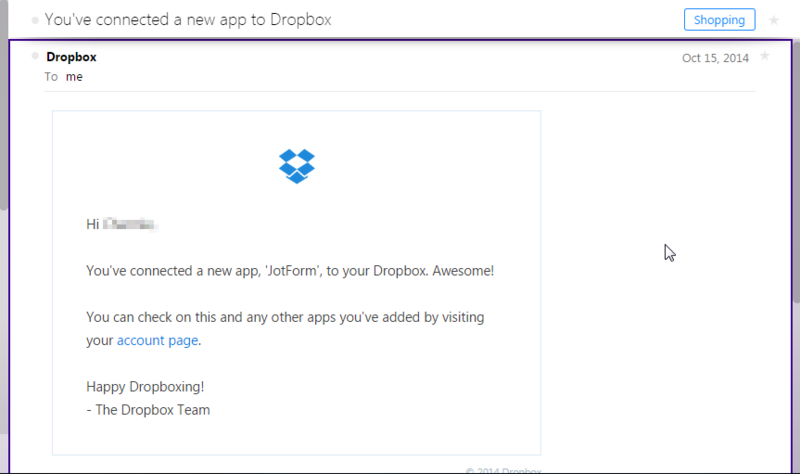 How to see which email I used in Dropbox? Unfortunately, there's no option to where you can see the details of what account you integrated to your Dropbox account, we also can't tell in our end which email you used. You will need to check each email that you have to see which of them is integrated to JotForm.